Bhagavata Purana states that Dhanvantari emerged from the Ocean of Milk and appeared with the pot of amrita (nectar) during the story of the Samudra (or) Sagara Mathana whilst the ocean was being churned by the Devas and Asuras, using the Mandara mountain and the serpent Vasuki. The pot of Amrita was snatched by the Asuras, and after this event another avatar, Mohini, appears and takes the nectar back from the Asuras. It is also believed that Dhanvantari promulgated the practise of Ayurveda. According to the ancient Sanskrit work Vishnudharamottara, Dhanvantari is a handsome individual and should usually be depicted with four hands, with one of them carrying Amrita, the ambrosia of god. 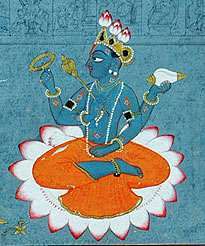 Dhanvantari is depicted as Vishnu with four hands, holding Shankha, Chakra, Jalauka (leech) and a pot containing rejuvenating nectar called amrita. He is often shown with a leech in his hand rather than the scriptures. His birthday is celebrated by the practitioners of Ayurveda every year, on Dhanteras, two days before Diwali, the Hindu festival of lights. 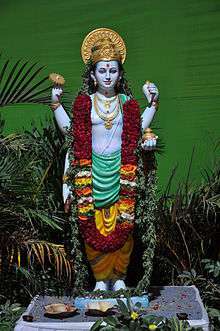 There are a few dedicated temples to Dhanvantari in South India especially in Kerala and Tamil Nadu, where ayurveda is highly practised and patronised. The Dhanvatari temple in Thottuva in Kerala is a particularly famous temple, where Lord Dhanvatari idol is almost six feet tall and facing east. 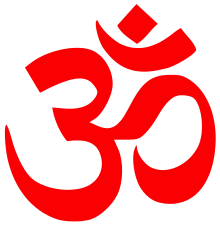 On the right hand the lord holds Amrith and with the left hand the lord holds Atta, Shanku and Chakra. The 'Ekadasi'day celebration, which falls on the same day as the 'Guruvayur Ekadasi' is of special significance. Sree Dhanwanthari Temple, Ramanathapuram, Coimbatore, Tamil Nadu. One Black stoned statue facing south is also located in a personal property of a Brahman family in Chowk area, varanasi. 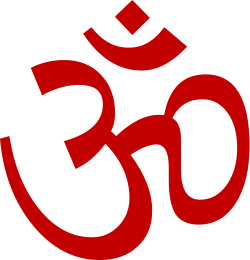 It's said that the Idol was found beneath the premises of that property when it was getting constructed and the Brahman couldn't figure out who it was hence decided to have it drifted in Ganga next morning, however same night lord came in his dream and introduced himself as KashiRaja Devodas(Dhanvantari) and asked to leave the statue where it was found, hence he built this temple in his house which very few in that area are aware. Among all, this temple seems to be most divine and spiritual as the idol emerged on its own and the story associated with it. Shri Aalkkalmanna Dhanwanthari Temple is situated at Eranthod Village, Angadippuram Panchayat, Perintalmanna Taluk of Malappuram District. This is a very famous temple in north Malabar Area.